Arrival: The evening puja begins at 8:00pm. We encourage you to arrive by 4:00pm for the Asana class. Dinner is at 6:00pm. Departure: The program ends at 12:00am You are encouraged to book a room to stay the night after the celebration concludes. !! Om Namo Bhagavate Vasudevaya !! Celebrate Krishna Janmashtami at the Yoga Farm! 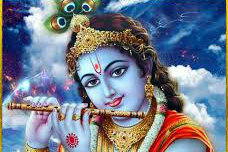 Janmashtami is the birthday of Lord Krishna, the eighth avatar (incarnation) of Lord Vishnu, believed to have been born about five thousand years ago in Mathura, India. Krishna was born to Vasudev and Devaki, who were imprisoned by Devaki’s evil brother Kansa and was brought up by Nand and Yashoda. The birth of Lod Krishna is believed to be symbolic of our imprisonment in worldly illusions, where He took birth with us and led us to salvation and peace, vanquishing all evils depicted by Kansa in the story. Across the world over, people fast and spend the day immersed in Shri Krishna’s glory by reading, reciting and singing his divine play. 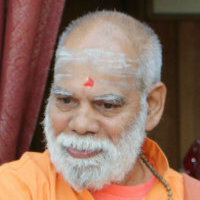 Krishna reciprocates in unique, personal ways with every devotee who offers Him love. He is the most adorable mischievous son, the most romantic lover, and the most compassionate friend. And on Janmashtami, devotees celebrate Krishna in all of these aspects. He reciprocates individually the distinct feelings and desires held most deeply in the heart of every single worshipper. So whatever way you worship Krishna on Janmashtami, He will reciprocate with you accordingly. It’s a meditation that makes for an extremely rewarding devotional experience.